The Firebox family of network security appliances is a new class of performance-driven solutions. Blazing fast throughput combines with advanced networking features to handle high-volume traffic securely – and includes a suite of flexible management tools that allow IT administrators to manage security through an intuitive centralized console, command line interface, and web UI. 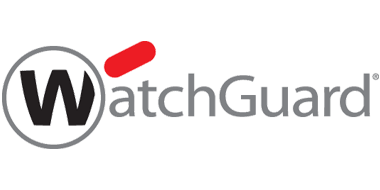 WatchGuard’s Firebox products provide true line-speed security inspection on all traffic and support multi-gigabit packet filtering throughput. In addition, the Firebox line provides Application Control; connects offices via unique drag-and-drop VPN; connects people via SSL and IPSec VPN; and gives the enterprise unparalleled visibility into real time and historical user, network, and security activities. With WatchGuard’s Firebox, businesses can define, enforce, and audit strong security and acceptable use policies. High-performance security inspection that blocks attacks and unwanted traffic without hindering mission-critical Internet usage. Best secure throughput in its class, with an extensive feature set and the best real-time visibility tools.